I’ve been so busy lately that I haven’t found a chance to comment on Texas Instruments’ very interesting announcement last month that they are release a robotic vehicle, the TI-Innovator Rover. 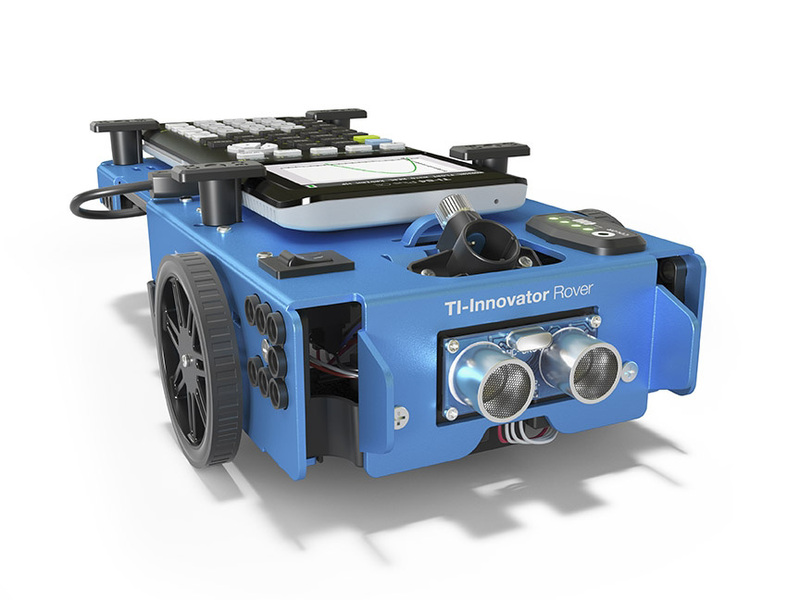 The TI-Innovator Rover is designed to work with either with any TI-Nspire CX model or the TI-84 Plus CE. Check out the video below for a high level demonstration of the Rover in action. In addition to your graphing calculator, you’ll also need a TI-Innovator Hub. If you missed my TI-Innovator review a while back, the idea is that students learn to code right on their Texas Instruments graphing calculators, and then those commands perform physical actions and/or collect data. The Rover should take this up even another level, and I’m excited to see it in action. Stay tuned, as I intend to have a review of the TI-Innovator Rover in the coming months.